Through the month of December we anticipated some weather, when January hit we were confident that we would have some kind of weather before the months end… that’s generally how it happens, anyways. My question to you…. Are you ready for the weather? Whether you are or whether you aren’t ready, the weather will come. We have experienced, what I would consider, a mild winter here in this area, however travel a few hours west and there was snow and ice, travel a few hours south and there was tornadoes. The weather will hit, if you are prepared or if you aren’t, so are you? Do you have the proper winter necessities in your vehicle? Maybe you could take a few minutes this week/weekend and gather some necessities for your vehicle. It’s always a great idea to take one of the hundreds of bags you keep hiding from your spouse and put it to good use. Put a spare blanket in it, a towel or two, some bottled water, crackers or chips and get one of those dandy lil juice batteries for your phone, it could come in handy! Maybe some spare socks, gloves and a scarf. You will be thankful you have them when you need them! 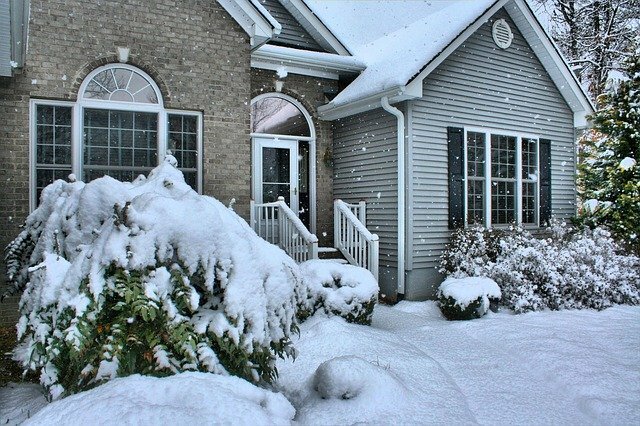 Is your home ready for the colder months? How about your home? Is it ready? Have you winterized your outside faucet? Added some weather stripping to your doors/windows? If you have an older home it always a great idea to leave you faucet just barely dripping and your cabinet doors open so your pipes can have some warm air also. Have you turned your ceiling fans to run in reverse? Whether you own, rent or lease your home, I would encourage you to look into multiple weatherization programs available. While most of us have smart phones and are googling different things, look up weatherization. It could be helpful and benefit you far beyond your next google search! ( I mean do you really need that thing you are searching for anyway? The weather will come whether you are ready or not! General Contractors and Building Upkeep: ABD’s 30 years of pride.